Now let's discuss the livestock side of managed grazing. 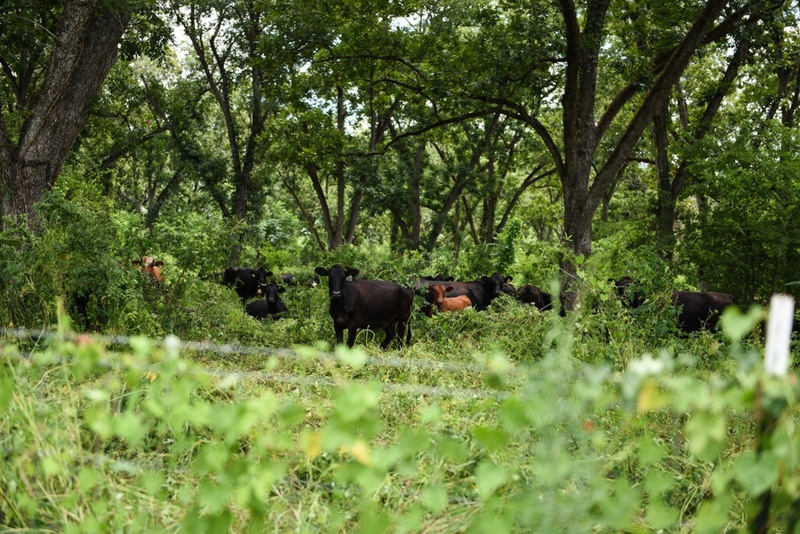 At White Oak Pastures, we are doing managed grazing in a way that moves animals through the pasture in appropriate stocking densities. 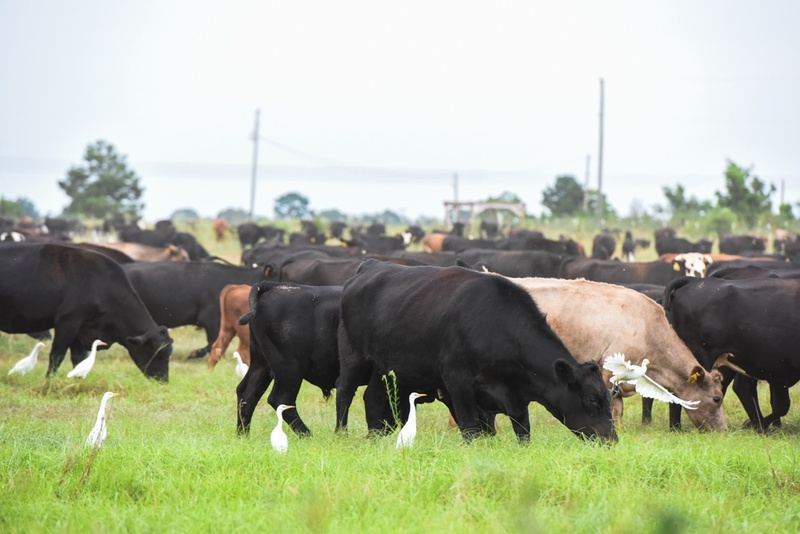 "Stocking densities" means the appropriate number of animals per acre. We move them at a certain rate so they are not overgrazing. Overgrazing is a spectrum, and the worst form would look like a scalped pasture without any organic matter to cover the bare soil. Soil coverage is crucial for many reasons. Overgrazing also hinders the rate of forage regrowth and root structure expansion. Appropriate grazing pressure will increase the bioproductivity of a piece of land, beyond even the bioproductivity of a rested pasture. 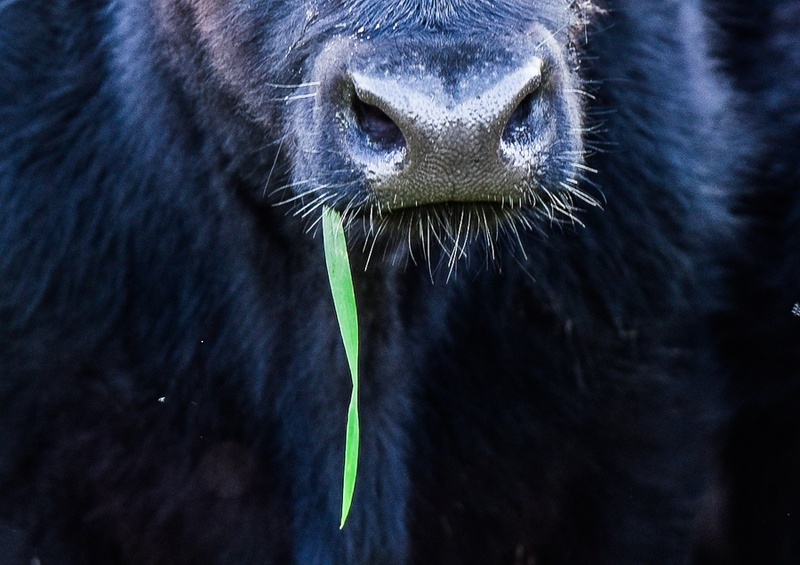 Moving livestock at a certain density through a pasture, for a specific time, creates conditions which stimulate the natural competitive feeding instincts of grazing animals. This competitive feeding behavior results in uniform grazing impact on a pasture such that all plant species (grasses, legumes, forbs, etc.) are grazed equally. 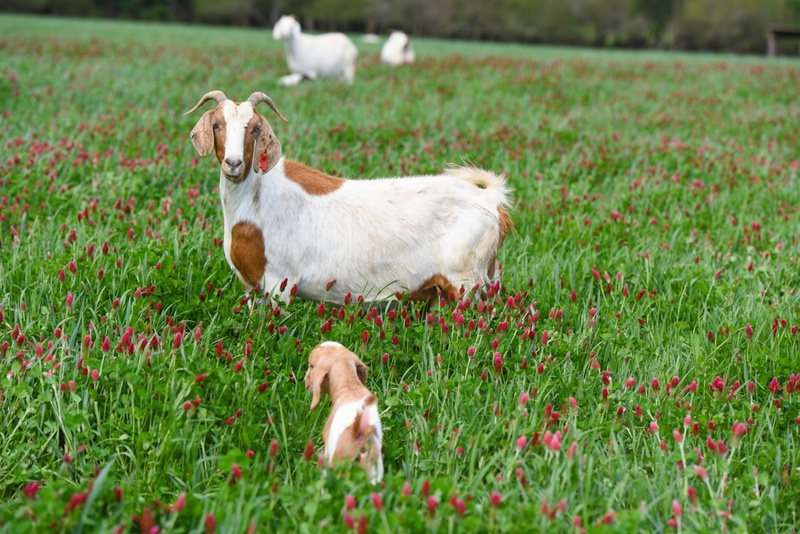 Uniform grazing is very important for pasture health and will not occur naturally if a herd is not intensively managed. It is, therefore, the graziers’ duty to carefully foster conditions to increase bioproductivity. The act of moving livestock also stimulates their appetite and digestive systems. This has a two-fold contribution; the faster a herd is moved, the more they will consume and the more manure they will add to the soil. 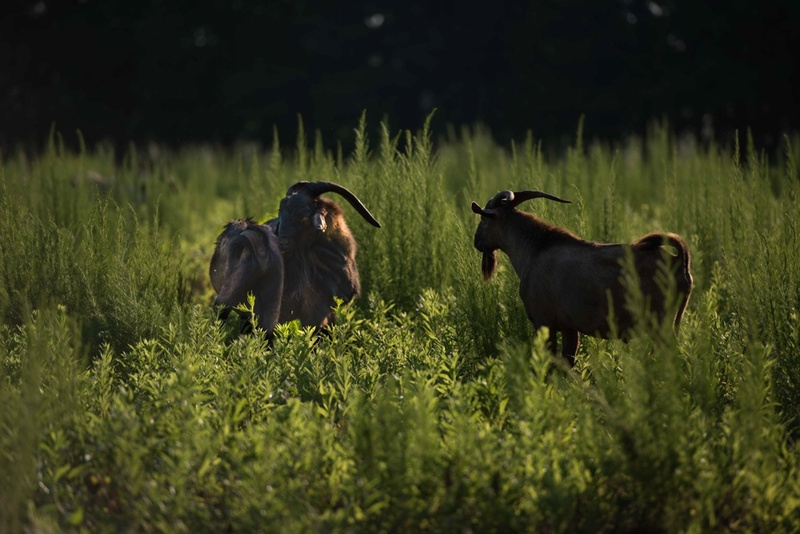 Currently, our livestock are eating the cool-season grasses and are making room for the warm-season grasses.